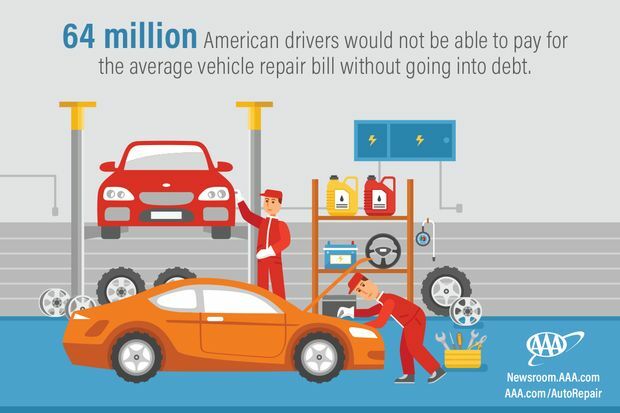 According to a new AAA survey, 64 million American drivers would not be able to pay for an unexpected vehicle repair without going into debt, indicating that some drivers may underestimate the full cost of owning and operating a vehicle. Because some car repairs are unavoidable, and the average repair bill is between $500 and $600, AAA urges drivers to save for unforeseen expenses, and identify a trusted repair facility before trouble strikes. As North America’s largest motoring and leisure travel organization, AAA provides more than 57 million members with travel, insurance, financial, and automotive-related services. Operating 19 offices throughout Maine, New Hampshire and Vermont, AAA Northern New England is a not-for-profit, fully tax-paying corporation and serves as an advocate for the safety and security of all travelers. AAA Northern New England can be visited on the Internet at www.AAA.com.